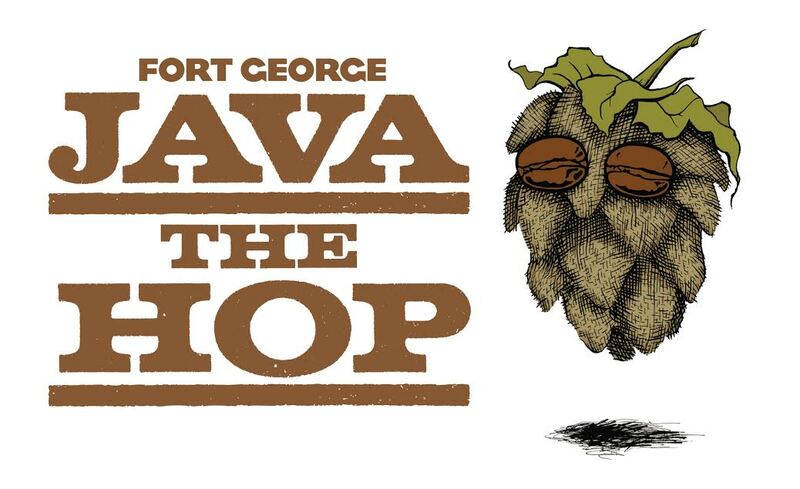 One of the more often requested Fort George seasonals, Java the Hop returns to Pacific Northwest taps starting October 20th. This unique IPA fuses two of the region’s most enjoyable pastimes – sipping great coffee and drinking hoppy beer. And when you’re brewing with a single hop + single bean, that satisfaction comes down to selection. From the beginning, Java the Hop has been a joint collaboration with Portland’s Coava Coffee Roasters. Owner Matt Higgins and his crew are expert tasters with vast experience hand-selecting beans from all over the world. For this batch they chose Los Nacientes, a Costa Rican coffee with notes of chocolate, nuts, and subtle fruit acidity. These were added to the secondary fermenter within 48 hours of roasting, to ensure maximum exposure to the aroma compounds. This year’s Java the Hop was brewed using Mosaic hops. An offshoot of Simcoes, Mosaics retain some of that strong, piney aroma from the mother plant, merged with juicy, tropical fruit traits. Mornings are for coffee, evenings are for beer, Java the Hop is timeless. A minimal malt bill focuses your powers on the pairing - radiant and light, with huge coffee aromatics, a hint of chocolate roast (but not on the dark side), and a tropical hop finish. No mind tricks, just simple complexity. Be on the lookout for more draft-only offerings from Fort George heading into 2017. This batch of Java the Hop is limited. Ask your favorite northwest pub to put it on tap while they can. May the Fort be with you.